Although torch songs originated in the 1920s, their true decade was the 1930s a period in which they flowered then died. Over the years torch songs seemed to became less melodramatic. By the mid to late 1930s, themes of torment were replaced by simple desires for more time with ones lover, pleading for kindness, yearning for a romance or simply savoring moments of happiness. What remained the same with the newer crop of vocalists was a plaintive vocal delivery. Some of the especially soulful performances in this release include Imagination by Bebe Daniels, But Not For Me by Lee Wiley and Moments Like This by Maxine Sullivan. By contrast, Where Are You by Gertrude Niesen echoes an earlier dramatic vocal style. Two of the original torch singers, Ruth Etting and Helen Morgan, were still recording in 1935, but most singers in Volume 3 were only launching their careers at this time and many would be around for years to come. Dinah Shore was still performing on TV until 1992. 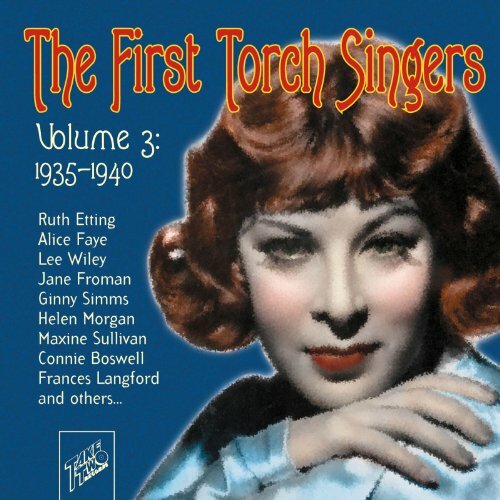 By the forties, torch songs evolved into love songs of the day and the sentimental vocal styling originated by torch singers was passed on as their contribution to a new generation of singers.